will i read this author again? : Yes, because I hear from fans that his other books are nothing like this. will i continue the series? : Eh. In this page-turning contemporary thriller, National Book Award Finalist, Printz Award winner, and New York Times bestselling author Paolo Bacigalupi explores the timely issue of how public information is distorted for monetary gain, and how those who exploit it must be stopped. Everything Alix knows about her life is a lie. At least that's what a mysterious young man who's stalking her keeps saying. But then she begins investigating the disturbing claims he makes against her father. Could her dad really be at the helm of a firm that distorts the truth and covers up wrongdoing by hugely profitable corporations that have allowed innocent victims to die? Is it possible that her father is the bad guy, and that the undeniably alluring criminal who calls himself Moses--and his radical band of teen activists--is right? Alix has to make a choice, and time is running out, but can she truly risk everything and blow the whistle on the man who loves her and raised her? The Doubt Conspiracy is, in my mind, the perfect concept subverted by ham-fisted politics, thin plotting, and a faceless cast. The first half is arguably the most interesting, with the strange attacks on Alix's school and a mysterious stalker. Then it's all ruined because of course he has a magnetism that she can't resist. Pro tip: Stalkers aren't good boyfriends. Alix's fascination leads her into the headquarters of 2.0, a gang of teenagers set on avenging their losses. While the first half caught my attention, had a few twists and some mystery, the story drags on languidly after Alix's introduction to 2.0. The suspense built by the setup deflates into a string of investigative journalism, making out, and a rushed ending. While I loved the concept and enjoyed many moments, I was too frustrated; this book could have been great, could have been powerful, but it felt more like a teenage romance disguised as techno-thriller disguised as statement about corporate greed. I imagine it'll appeal to people who can get more on board with Alix and Moses, but in the end, it's a book I probably won't remember. A good suspense novel required extremely tight plotting. Details must be interwoven carefully, tension must be maintained, and there must be a moment where the reader holds their breath and speed-reads to see what happens next. 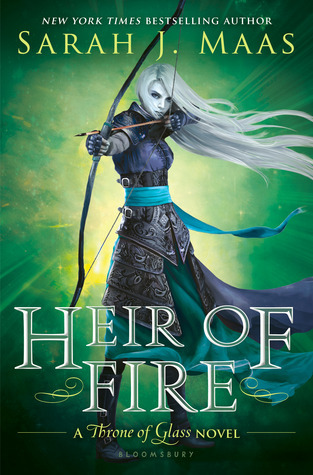 This book read more like a defanged version of Twilight that happens to be punctuated by long dissertations on the evils of corporate PR and the occasional explosion. The twists and turns are too dragged out to cause any tension. And then there were the parts that irked me. First, Alix is presented as a smart do-gooder whose self-control is contrasted to her brother's impulsivity. Then, a random teenager breaches her school and punches the headmaster in the face. Love at first blood? I can see Alix being intrigued by Moses, but she goes on to chase him, confront him, and let him into her house. Of course he's guilty of vandalism and assault, but she just trust him for some reason, obviously. The impulsive attachment just doesn't gel with Alix's initial portrayal. Also 16-year-olds with CIA hacking skills. Also the truncated chase scene followed by a neverending ending. All the good pieces are there, but they're jumbled up and mixed in with too much chaff. As a staunch opponent of Big Pharma, it's pretty cool to see an author drawing attention to the numerous ways in which these companies trade lives for profits. The industry of uncertainty is famous for tobacco research that says you can't prove smoking skills, trial drugs that never reach production because the population they treat, though severely ill, is too small for a good profit margin. Even rebranding old pills with new names and new marketing to fight against the cheaper generics. It's a sickening industry that should be exposed, and it's amazing to see all of the lies and tricks laid out so plainly. I liked Alix initially. She seemed normal. Not your typical outcast or tragedy. Then her character fell apart and I couldn't latch on to a consistent kernel of Alix-ness. She's cautious but she chases a stalker to his secret hideout. She loves her father and has a wonderful relationship with him, but when 2.0 tells her about his job, she flips from loving daughter to avenging rebel without even bothering to doubt 2.0, to confront her father and ask for his side. On the other hand, Moses has moments that try to make him complex, but he's your pretty standard brooding bad boy with a rough life and a noble cause. There were other characters, but they didn't really stick in my mind. Honestly, I think the person I liked most was Alix's little brother, because at least he was interesting and consistent. I've heard wonderful things about Bacigalupi's writing, but it seems even his fans are bemoaning this work. It's not particularly bad writing. It's just fine. The dialogue is a little stilted. There weren't any places where I thought, "Wow. This is really beautiful or apt or illuminating." It was solid, but unremarkable. Can I talk about pacing? I've mentioned it before, but this book just drags on. Or rather, it seems to move in jerks and then to linger too long before jerking ahead to the next part. Little is accomplished in the entire first half except: Alix crushes on Moses, Alex tries to find Moses, Alix gets a bodyguard, Alix falls into the hands of 2.0, 2.0 let's Alix go, 2.0 fails in an act of rebellion. That may sound like a lot, but it amounts to very little progress in the way of plot or character progress. Oh yes, and they soliloquize a great deal about corporations and conspiracies. Then we have the second half, which is mostly Alix investigating corporate PR scandals and getting drunk on a boat. Oh, right, and then she and Moses attempt to pull off a dangerous heist that involves guns, decryption software, neurotoxins, and pulling the wool over the eyes of numerous highly trained professions. Which takes all of a sliver of book. I think if they had cut out a third of the book, it would have been far more exciting, if not well plotted. 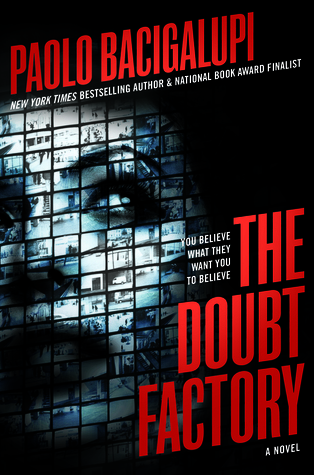 The Doubt Factory explores the timely and terrifying culture of corporate disinformation, but falls flat from slow plotting and thin characterization.